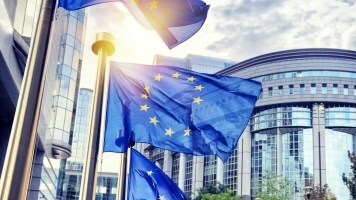 Infosecurity Magazine Home » Magazine Features » Will the GDPR help the CISO? The General Data Protection Regulation will be the biggest shake up of data protection measures in almost 20 years, so what does it mean for your average security type? Dan Raywood talked to Quentyn Taylor for his two year predictions. The statement made on the regulation panel at this year’s Infosecurity Europe was “GDPR affects you if you are alive and on planet earth”. That panel was chaired by PwC’s Stewart Room, and appearing on that panel was Quentyn Taylor, director of information security at Canon for the EMEA region. I recently caught up with Quentyn to talk about how the GDPR will affect businesses and ask him the big question: are companies going to be ready for this in May 2018 and is it actually going to help? “I think it largely depends, as businesses are becoming more ready for it but the problem with having a law with a two year sunrise period is that it is very easy to put off and put on and then you realise [the deadline] is in six months,” he said. Taylor likened it to a university dissertation, as you put off writing it until you realise it is due in a matter of days and have to work on it overnight – he said that is what he worries about, as GDPR is not something that can be done overnight, as rather than a change of law it is a change of mindset and attitude. Taylor said that what you need to have done now is to have a strategy, an idea of what you need to do and an idea of what you need to do that. “Also a lot depends on your geographical scope; which leads on to whether this will help companies – absolutely it will help companies. I think if you are a large multi-national, or a company who is considering binding corporate rules, or is dealing with multiple data regulators, or are a company who is having to wrestle with multiple sets of data laws, or are a company dealing with all kinds of data in all different places, then this will absolutely help you as the concept of ‘one stop shop’ is in there,” he said. So it is all positive then, and Quentyn said that it is “something that has been a long time in coming and I am really happy it is finally here”, but it was important to begin taking it seriously, as if you treat it like a project and not as a lifestyle change, then it will be back to hurt you. The regulation addresses several key areas of modern data protection, including data ownership, data breach notification and it addresses export of personal data outside the EU and after its formal adoption on 27 April 2016, it formally replaces the 1984 legislation and 1995 Data Protection Directive, which the 1998 UK act was based upon. “The EU could have done a directive relatively easily, as a directive would go through as the changes could have been made locally without changing a huge amount,” Taylor said. The initial steps were made in early 2012 when Viviane Reding, vice-president of the European Commission in charge of justice, fundamental rights and citizenship, announced the changes. After a lengthy process of approval, it suddenly came back to life in December 2015 and was approved this year. Moving on to how it will help businesses, Taylor said that he believed it will achieve two levels of help: for some companies it will make some processes easier as it will achieve one centralised process; and it will also help the information security industry “dramatically” as its factors will give the canny information security person a place at the table. In our last issue, we talked to the National Association of Data Protection Officers (NADPO) about the impact and creation of the DPO role in the era of the GDPR, and Taylor said that it is good practise to have someone ins that position as if you want to play in the space of handling large amounts of personal data, you have got to determine where your data is. 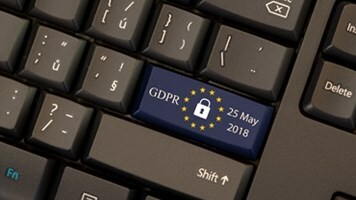 So is one of the early problems of the GDPR responsibility, and is the next challenge to make sure someone takes a lead on this, whether they be in IT, security, compliance or even legal? Quentyn said that this is the key point, as step one of becoming ready is to have a strategy and sit down and say “what are we looking to do”. He believed that in information security, a lot of people are ‘glass half empty’ types, and GDPR is a bit of a mixed bag as there are good things and bad things, and if you go in thinking it is a bad thing, then it will be a bad thing. “Go in with positivity. Privacy by design, privacy impact assessments and data mapping are the three biggest things – ‘where is my data’ is a big question and it is a question information security people need to understand,” he said. “The correct way is to sit down and say ‘what are we trying to achieve’ and then risk assess the different areas of your business and say ‘what are the areas that are most and least sensitive’. I recommend looking at the ICO’s 12 step plan and working through it, as being ready is not just about getting a data protection course of policies, but how we are changing the culture of the company. In conclusion, Quentyn left me with an analogy: “If data is the soil of the new economy, then risk and risk management is the fertiliser that helps it grow. Too much or the wrong type, and the plant dies. 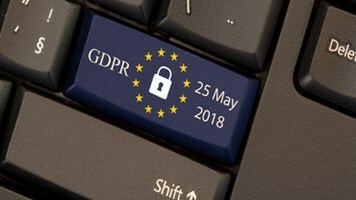 Just the right amount and it flourishes.” Let’s wait and see if GDPR will over-feed the security industry.